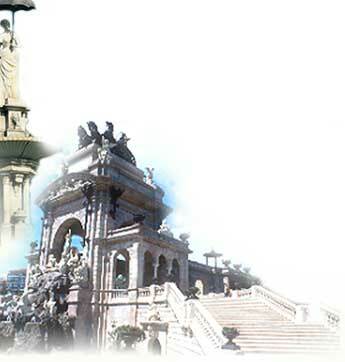 The 1888 World Exhibition was the first major event held in modern Barcelona after engineer Ildefons Cerdà's Renovation and Extension Plan for the city was approved in 1859. This project, better known as the Pla Cerdà, demolished the medieval walls that had hitherto encompassed the city and mapped out the new urban extension or Eixample. The Exhibition brought with it numerous, mostly urban, transformations, ranging from the consolidation of some of the major thoroughfares (such as El Paral·lel, Rambla de Catalunya and La Diagonal) to the creation of the Parc de la Ciutadella on the site of the former military barracks built by Philip V in the 18th century. Barcelona thus entered into a period of modernity and expansion, reinforced by the incorporation of the surrounding townships into the city. In the spheres of art and architecture, the Exhibition (under the architectural direction of Elies Rogent) reflected the spirit of the first years of Modernisme, giving rise to some of the monuments most emblematic of the city. Outstanding examples of this are the Castell dels Tres Dragons restaurant (now the Zoological Museum) by Lluís Domènech i Montaner, the Arc de Triomf, to which sculptors Josep Llimona, Josep Reynés, Torquat Tasso and Antoni Vilanova contributed, and the Monument a Colom, built by Gaietà Buïgas and crowned by a sculpture by Rafael Atché. The urban transformations and new developments in architecture and art were accompanied by an increase in the population, attracted by industrial progress. 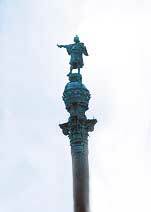 One year before the exhibition Barcelona had 400,000 inhabitants, four times more than sixty years previously. The Industrial Revolution had also consolidated a new bourgeoisie, and with it the cultural, artistic and literary movements of the Renaixença and Modernisme, which bore the stamp of political Catalanisme. The vast fortunes quickly amassed from the export of wine during the phylloxera plague in Europe had been invested in the metallurgical and textile industries, which began to be mechanised. The spectacular rises on the stock exchange and easily-made fortunes created a situation of economic euphoria in a period known as the Febre d'Or (The Gold Rush). Economic prosperity made the construction possible of luxurious buildings on Passeig de Gràcia and in an Eixample in full expansion, a phenomenon that spread also to the neighbouring townships of Sarrià and Sant Gervasi, now converted into residential suburbs for the nouveaux riches. This phenomenon of the rapid accumulation of fortunes was repeated later with World War I, when full advantage was taken of Spanish neutrality. The everyday situation prior to the Exhibition, however, was not so prosperous for the working classes, as journalists Huertas and Fabre describe: "Houses were lit by oil lamps and candles, the cooking was done on coal-fired stoves and no other kind of energy was available. The washing was done in public wash-houses, which were still operational well into the 20th century". Electric light appeared during the Exhibition on some central avenues such as La Rambla or the Gran Via, until early in the 20th century the La Canadenca electricity company, with the construction of its major plants in the Pyrenees, made electrical energy available for practically everyone. Culturally, the years immediately before and after the 1888 Exhibition were marked by the advent of Catalan Modernisme, a movement that coincided with its European equivalents Art Nouveau, Sezession, Jugend Stil and Modern Style, although with characteristics that were fruit of the needs of the society in which it took root. Thus the pursuit of modernity and the cosmopolitan was based on the recuperation of Catalan cultural values, which explains why the new movements continued the task of upgrading the Catalan Romanesque and Gothic, begun during the Renaixença. Artists and intellectuals felt strongly independent from the society to which they belonged. Linked mostly to the bourgeoisie and to a conservative, traditionalist artisan class, their challenge was to break away or, at least modernise them, to which end they sometimes adopted messianic or redeemist stances. Far removed from official art, the road to modernity was mapped out by painters like Ramon Casas and Santiago Rusiñol, who went beyond prevailing realism and costumbrismo to drink from the fonts of Parisian influences. Crucial in this respect were their links to the L'Avenç, the journal that carried the banner of progressive cultural regeneration and, together with Pèl i Ploma, Joventut and Quatre Gats, reflected the contemporary panorama of cultural activism. Joan Maragall, albeit from a more conservative position, also adopted a modernist stance, critical of the society of his day. At the same time, genres that had hitherto been only marginally cultivated, such as the decorative arts, the graphic arts and posters, were fostered. The main site for the 1888 World Exhibition was the Parc de la Ciutadella and extended to the Saló de Sant Joan, today's Passeig de Lluís Companys and Passeig de Sant Joan. In 1888 this was the only park - for many years the people of Barcelona called it "The Park" - in the entire city. The Ciutadella project began in 1871, when the architect Josep Fontseré won the competition convened by the Ajuntament (City Hall) for the future park. 1873 saw the first plantation of trees and 1887 the construction of the Font Monumental (by Antoni Gaudí and Josep Fontseré), the Cafè-Restaurant (by Lluís Domènech i Montaner) and the Plaça Central (on the site of the former parade ground). Other constructions included the Arc de Triomf, designed by Josep Vilaseca, which served as the gateway to the Exhibition, and the balustrades, mosaics and street lamps for the Saló de Sant Joan, designed by Pere Falqués. During the eighteen-eighties Passeig de Colom was developed at the edge of the Park. Palm trees were planted, balustrades, pedestals, urns, candelabra and street lamps were placed, and Domènech i Montaner's emblematic Hotel Internacional was built, to be demolished after the Exhibition was over. The Parc de la Ciutadella still preserves many of the commemorative monuments unveiled on the occasion of the Exhibition: the busts of illustrious figures such as Emili Vilanova, Marià Aguiló, Víctor Balaguer, Teodor Llorente, Joan Maragall and Joaquim Vayreda, and the monuments to General Prim and the poet Aribau. Other outstanding features include La dama del paraigua (1885), by Joan Roig i Soler and the sculptural group at the waterfall (1888). On the occasion of the 1888 Exhibition, the then mayor of Barcelona, Rius i Taulet, set a host of projects in motion that went beyond the strictly urbanistic, many of them designed to embellish the city: Antoni Gaudí's lamps in Plaça Reial, the gardens in Plaça Urquinaona, Plaça Tetuan and Plaça de la Universitat, the electric lighting on La Rambla and the Gran Via, and the construction of commemorative monuments such as those to Joan Prim, Columbus, Joan Güell, Josep Anselm Clavé, Roger de Llúria, Ramon Berenguer I and Rafael Casanova. The connection between the Saló de Sant Joan and sculpture dates back to 1883, when the Ajuntament decided to enrich the avenue with a series of works dedicated to historical celebrities. Placed two by two, with a period of time between the placement of each pair, Guifré el Pelós (Venanci Vallmitjana) was followed by Roger de Llúria (Josep Reynés), Bernat Desclot (Manuel Fuxà), Rafael Casanova (Rossend Nobas), Ramon Berenguer I (Josep Llimona), the jurist Pere Albert (Antoni Vilanova), the painter Antoni Vila-domat (Torquat Tasso) and the architect Jaume Fabre (Pere Carbonell). All the statues were cast in the same material, bronze, and their dimensions were approximately the same (some 2.20 metres). Sculpture played a hitherto unprecedentedly prominent role in the Exhibition, since many pieces were commissioned for the event. This marked the beginning of what would become a fruitful relationship between the architects responsible for the Eixample buildings and sculptors. Such is the case of architect Lluís Domènech i Montaner, whose collaborators included sculptors of the stature of Eusebi Arnau (in the interior of the Palau de la Música Catalana) and Pau Gargallo (who executed works for the Palau e la Música and the Hospital de la Santa Creu i Sant Pau). One of the artistic strands that most influenced the 1888 Exhibition was Modernisme - in its early stages - and within the movement, the greatest representatives of sculpture were Josep Llimona and Eusebi Arnau. Llimona provided the Exhibition with a host of pieces, such as the equestrian statue of Ramon Berenguer III el Gran - for which he was awarded the gold medal - and the reliefs on the Arc de Triomf. Later, he was also responsible for the monumental work A Doctor Robert (1904-1910), regarded by many specialists as the most important sculptural work of Modernisme, and Desconsol (1907). Monumental sculpture on public thoroughfares has always been closely linked to the urban development of cities. In the case of Barcelona, this relationship reached its height with the Exhibition, when the Saló de Sant Joan was embellished with statues dedicated to historical celebrities and the Columbus monument was unveiled, studded with decorative pieces by the best Catalan sculptors of the time (Atché, Llimona, Alentorn, the Vallmitjana brothers, Fuxà, Gamot, Nobas, Carbonell and others). As part of this monumental sculptural strand in Catalonia, a markedly realist period stands out. According to Alexandre Cirici: "Catalan realist sculptors sought inspiration in typically post-romantic themes: evocations of history or rural life, sentimental anecdotes and the effects of terriblisme. The countless public monuments of the time were nurtured by the theme of history". The Vallmitjana brothers (Venanci and Agapit) headed the list of Catalan realist sculptors. Samples of their realist sculptural art are the five statues of thinkers that adorn the vestibule of Barcelona University (Ramon Llull, Averroes, Saint Isidore, Alfonso X the Wise and Lluís Vives), and the four allegories that preside over the entrances to the Parc de la Ciutadella, symbolising Industry, Commerce, the Navy and Agriculture.